Yogdan - 7th October is the day celebrated every year as Yogdan Din. 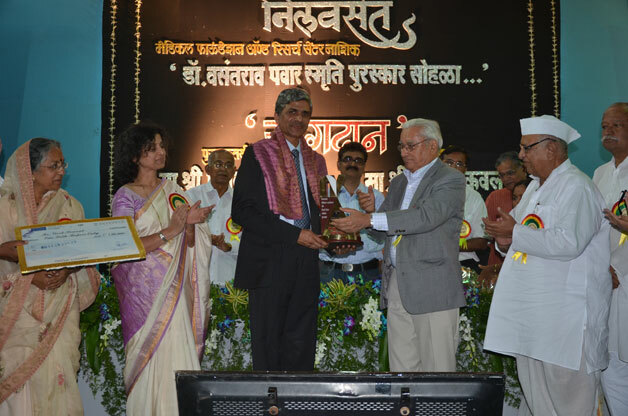 On this day the prestigious award in the name of "Dr. Vasantrao Pawar Puraskar" is given to the eminent personalities who have done extra ordinary work in the field of Medical, Education and Social. 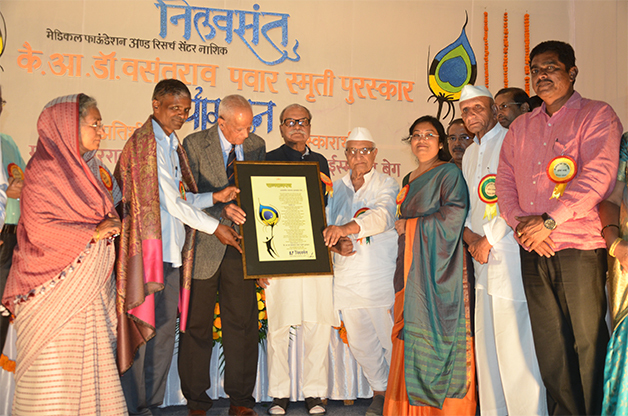 The award was started in 2011 after the demise of great Philanthropist Dr. Vasantrao Pawar on 7th October 2010. In 2011 the committee members came together and finalise the procedural way of selection and ceremony. 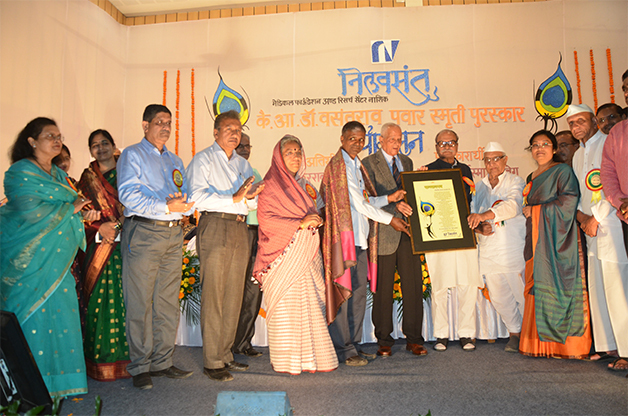 The award is of 1 lakh rupee cheque with the momento of appreciation along with a grand function at Nashik. The day's event is specially known as "YOGDAN". 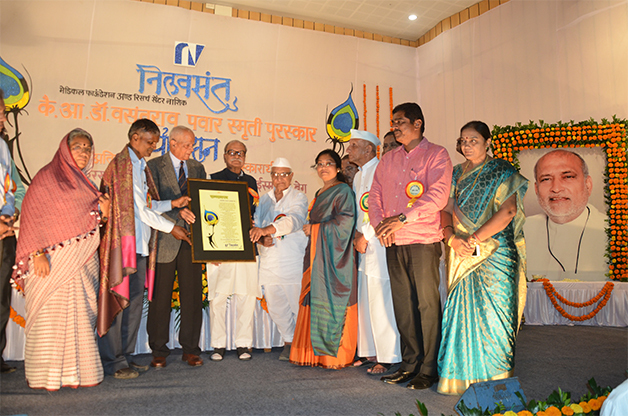 It is in the memory of YOGDAN given by Dr. Vasantrao Pawar, his magnificant dedicated social contribution towards the society. His entire life was an example for all. 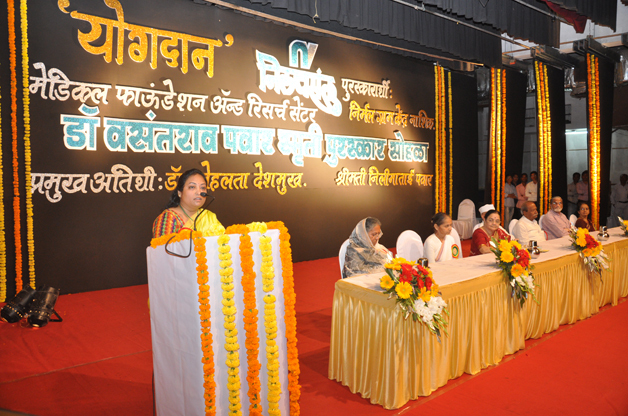 YOGDAN is a tribute, rememberance and contimation of his mission and vision with appreciation of similar kind of person by Dr. Vasantrao Pawar Smruti Purasakar. with the hands of Hon. Dr. Shankarrao Govarikar. with the hands of Dr. Ram Takwale Educationalist. with the hands of Shri. Avinash Dharmadhikari.